Established in 1995, Visual Terrain (VTI) is an award-winning design firm specializing in Lighting Design for Architecture, Attractions and the Arts. Nationally and Internationally recognized, our diverse portfolio includes projects in the United States, Asia (including Japan), Australia, Canada, Europe, Mexico, South America, and the United Arab Emirates. We enjoy collaborating with a project team, working together from the inception of a project through to completion, providing creative sustainable solutions that arise from our years of experience. 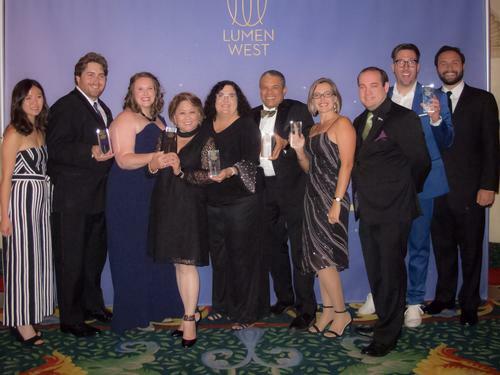 SANTA CLARITA, CA — Santa Clarita, California-based lighting design firm Visual Terrain, Inc., was recognized with multiple prestigious Lumen West Awards from the Illuminating Engineering Society, Los Angeles Section (IESLA), on Saturday, June 23.